Just as the principal planes are in fact curves, the pupils are also not actually flat. The entrance pupil (blue) diameter matches the diameter of the marginal rays from the object side. The exit pupil diameter is larger than the diameter of the marginal rays from the image side. 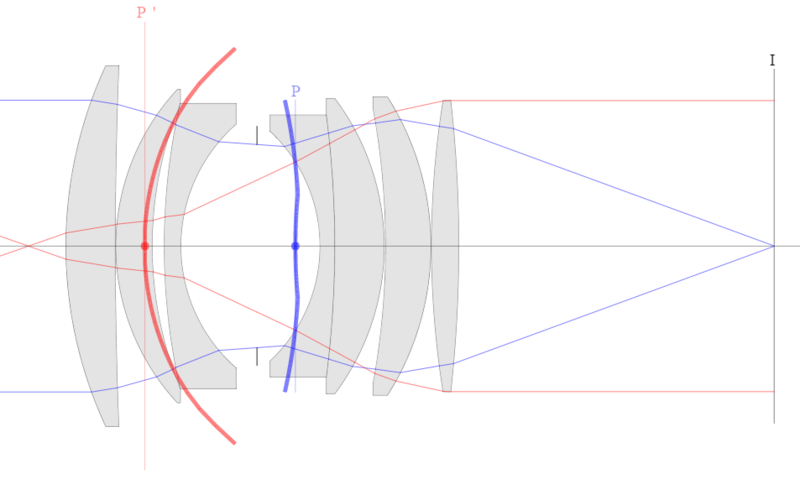 That's because the last lens element is acting as a field stop and limiting our view; we cannot see the wide open aperture from the image side of this lens. You may wonder where these curves come from. Visualizing how virtual images are formed is not obvious. 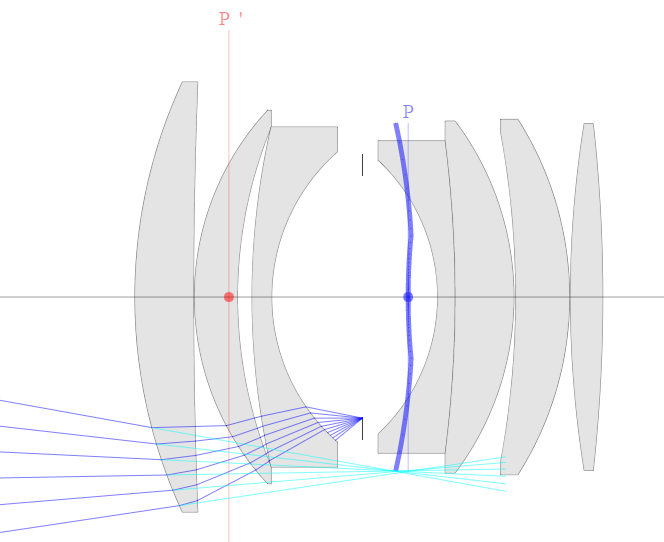 Blue rays leave the edge of the aperture toward the observer on the object side of the lens. These rays diverge rather than converge and so a virtual image is formed. To locate the virtual image you follow the final portion of the ray back toward the object, the cyan rays, and they converge at the virtual image.